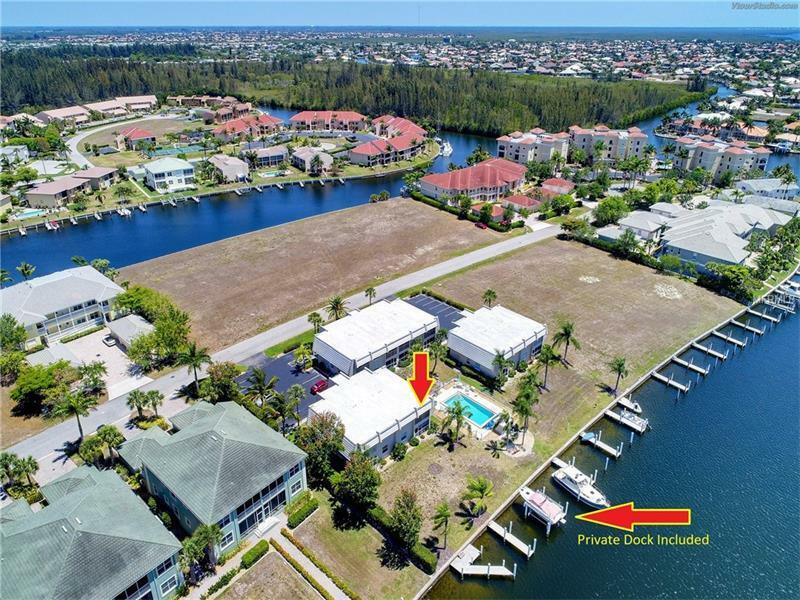 Opportunity awaits at La Port Boca in Punta Gorda Isles, FL. Private Dock included in price. This spacious waterfront, 2 bedroom 2 bathroom condo with screened lanai and 25' Dock is a must see. No fixed bridges out. End unit on second floor, no neighbors above or to your left. Beautiful views of the Purple Martin Canal. This condo is fully furnished and move-in ready. New A/C installed May 2017. New kitchen counters installed November 2017. Large master bedroom with en-suite bath features sliding doors out to screened and covered lanai. Great location, short distance to Punta Gorda nature park, St Andrews Golf Club, shopping, dining and all that the City of Punta Gorda and Charlotte County has to offer.